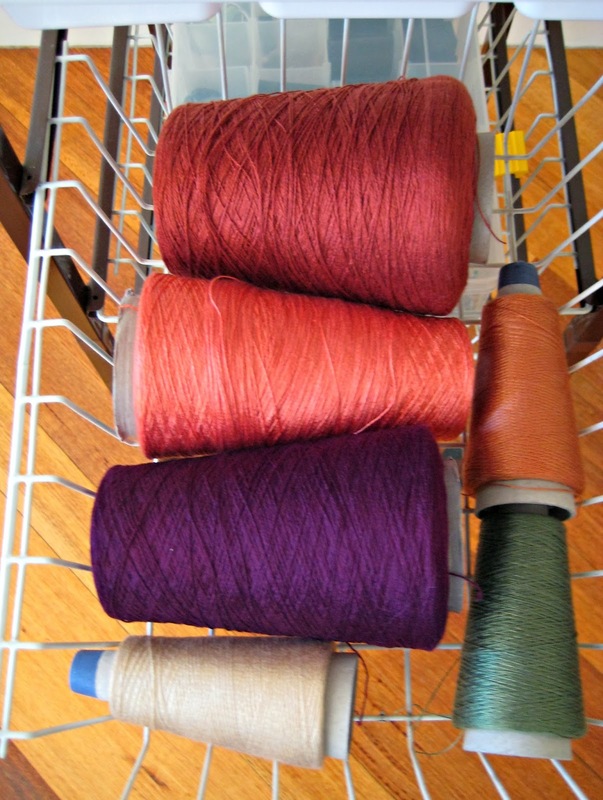 When I found myself with 2 naked looms last week, I knew it was time for a couple of do-it-yourself projects before I wound on the next warp. 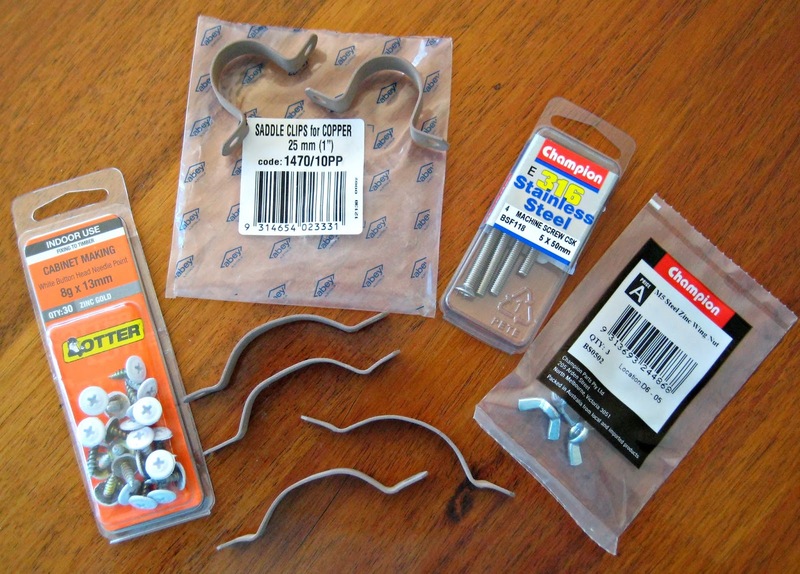 some bolts and wing nuts, a packet of saddle clips(enough for 2 projects) and some short screws, short enough for the jobs I had in mind. Altogether it cost $24.48. My first project was a warping valet. 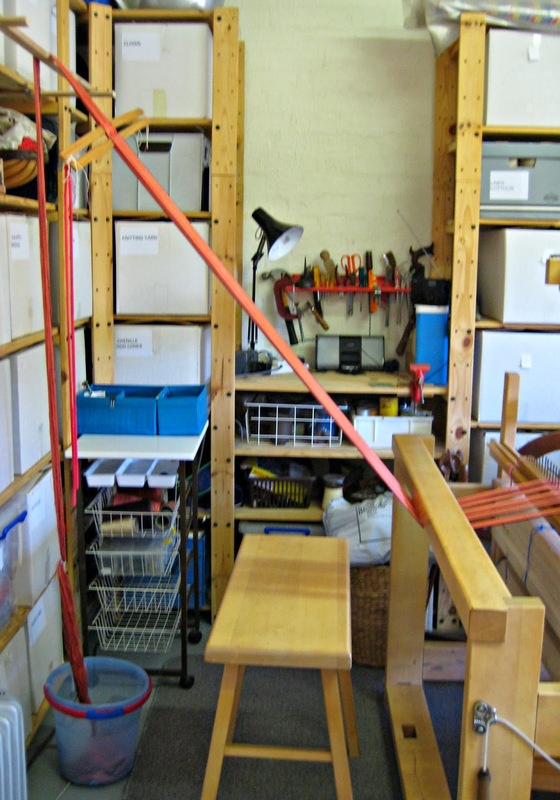 Behind the loom in the garage there are some sturdy shelves. 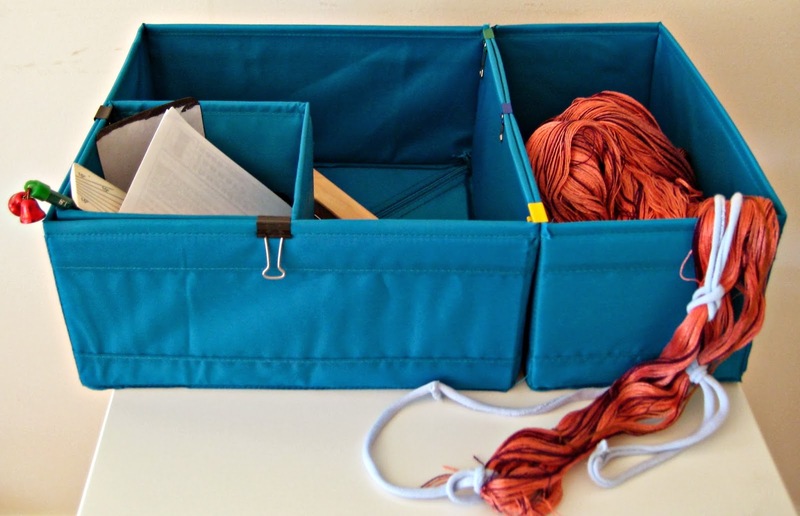 The unit is quite stable as it is ‘L’ shaped and the heavy boxes of yarn are at the bottom and do their bit to contribute to the stability as well. 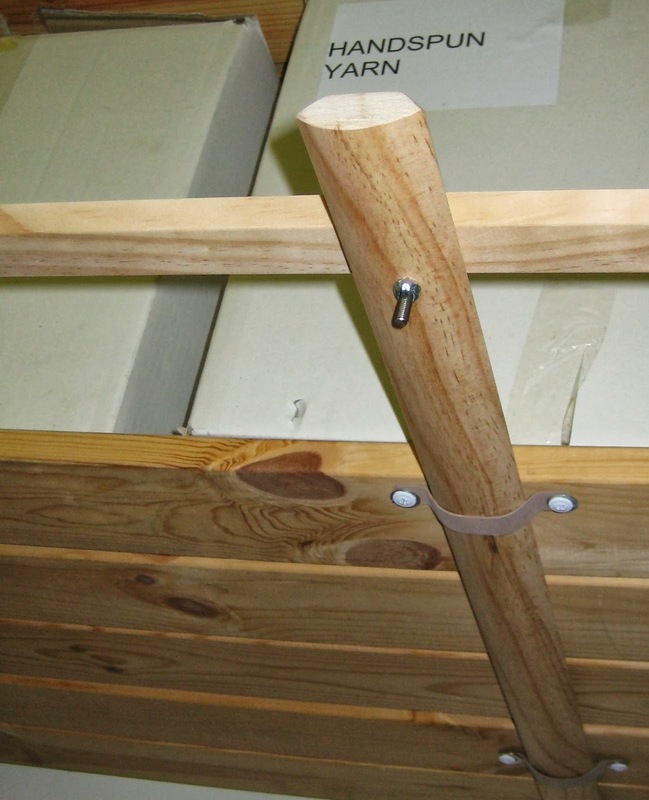 I thought I could attach something beneath one of the higher shelves and hoped that my DIY skills were up to the task. 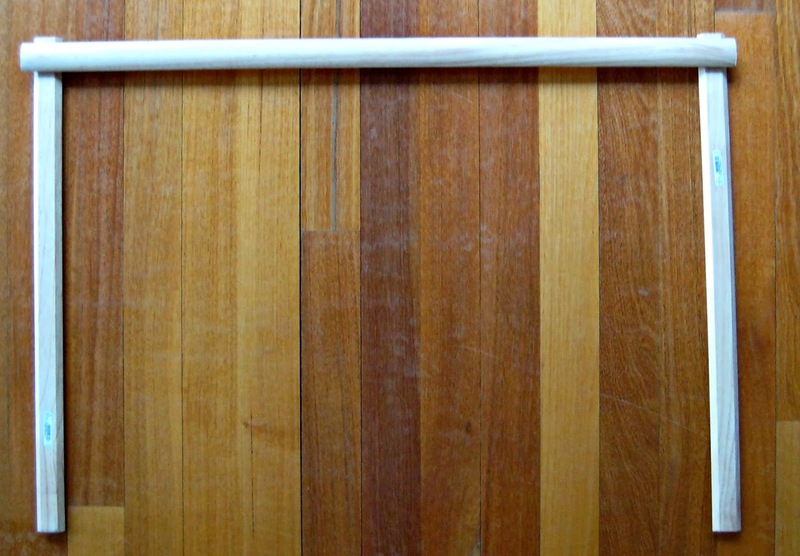 I cut 2 pieces off the length of dowel long enough to fit to the back of the shelves, leaving the third piece long enough for my planned valet. I lined it up on the floor to make sure it was going to work. 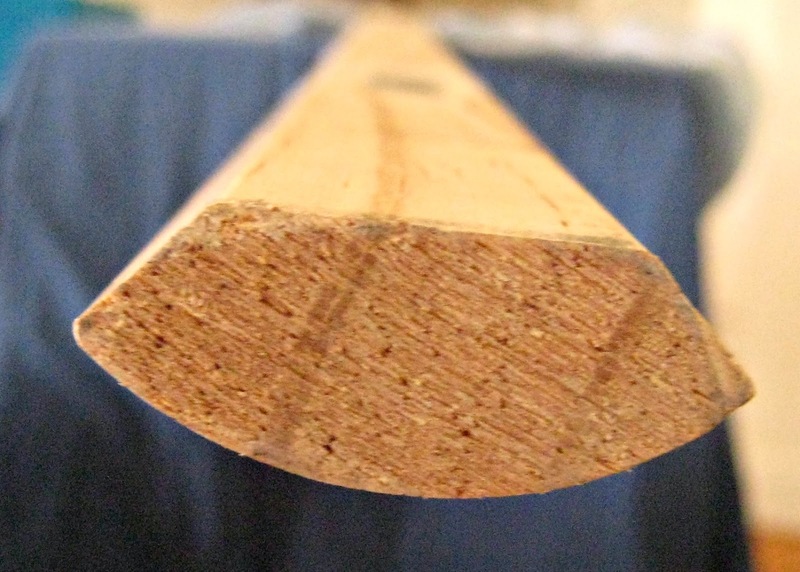 I drilled holes about 100 mm/4 inches from one end of each piece. 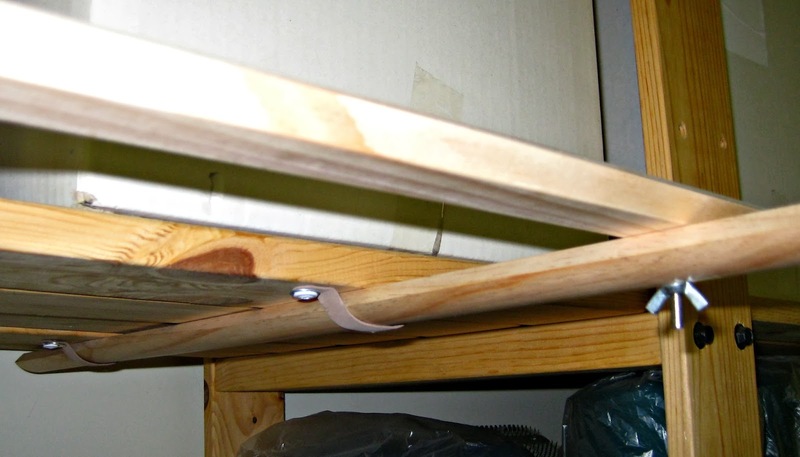 I flattened out 4 of the saddle clips and used them to attach the two shorter pieces below the second top shelf. 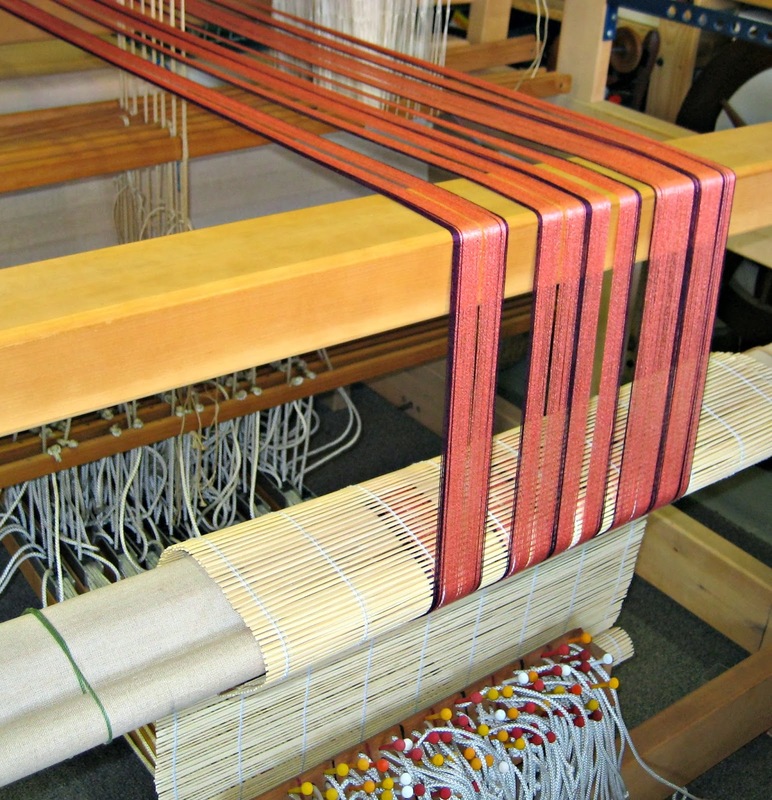 It would have been nice to line them up with a full shelf unit but I realised that where they really needed to be was lined up with the middle of the loom. I then measured the longer piece and found where to drill the holes and smoothed the wood with sand paper and steel wool. The only other thing to do was to fasten it with the bolts and wingnuts and then see if it really worked. It’s about 2m/6ft off the ground and that’s not a problem for me. I’ll need to be more careful when I take down the boxes on the top shelf but they’re up there because they’re not too heavy and I don’t use them very often. I had a tencel warp ready to go but before I did anything I had a look at Laura’s excellent video and I was away. It worked like a dream, the warp went on in no time and was smooth and even just as it should be – thanks Laura! We used to have annual hard rubbish collections where everyone put their unwanted and broken household items out the front of the house and everything was collected on the appointed day. What often happened was that items just moved from one house to another as neighbours spotted something they could use. This annoyed the people who were paid to do the collections as by the time they arrived, the best treasures had already found new homes. It’s much less interesting now as individual households book their own collections. My neighbour had booked one and I noticed a small trolley amongst her collection. 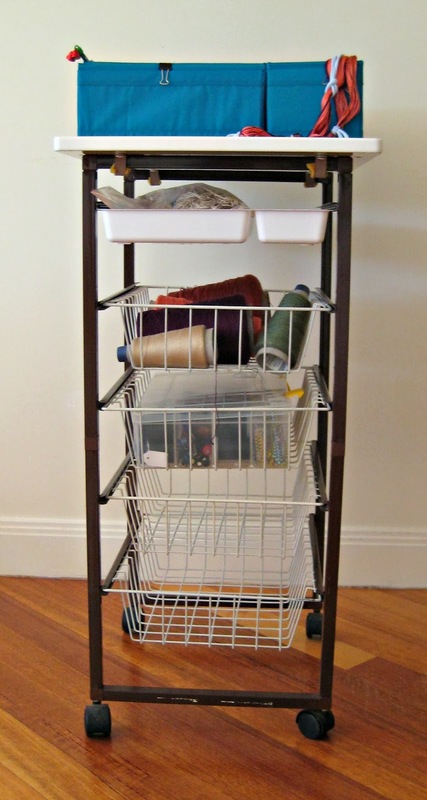 I thought it had great potential as a weaving trolley but didn’t like to steal her rubbish. We were talking and she was complaining that not only had the council failed to collect the rubbish when they said they would, but other neighbours had started adding to her collection. That’s not allowed under the new rules but if it’s done at night, who’s to know. Pointing at the trolley she said ‘that’s not mine’ and instantly, it disappeared down my drive. I bought a top and a cutlery drawer at IKEA. The drawer fitted perfectly but my attempt to attach the top was less than successful and this was the second DIY project. I measured out where the saddle clips needed to be, drilled some holes, packed the space between the round clips and the square frame with some scrap foam, put in the short screws, short enough not to damage the new top, and it was done. 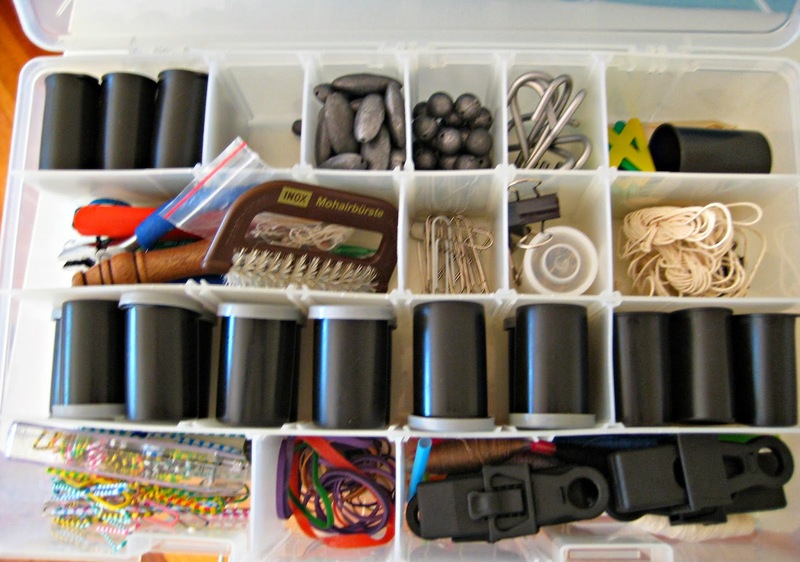 and the fishing tackle box with a good collections of ‘S’ hooks, paperclips, fishing weights, film canisters, small weaving tools and various other weaving bits and pieces is in the next wire basket. 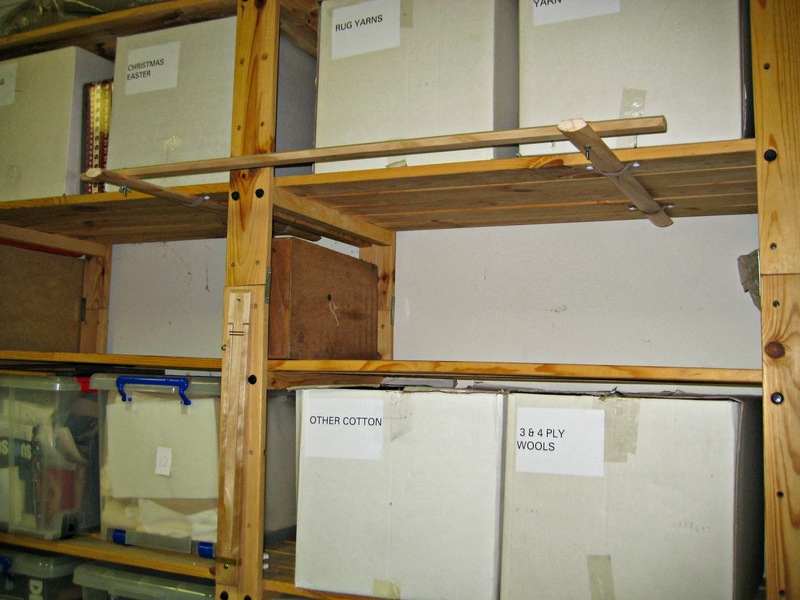 There are even 2 wire baskets waiting to be filled. 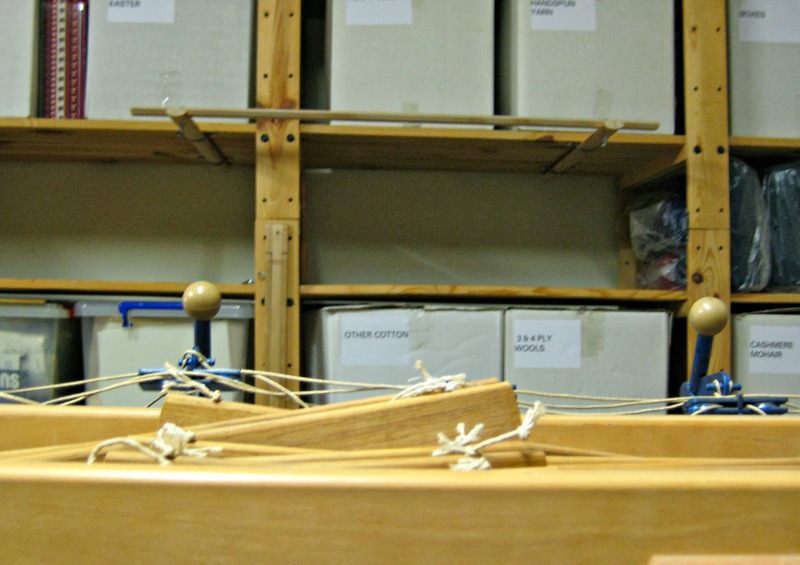 A good afternoon’s work and for a very modest outlay, I’ve now got a warping valet and a neat weaving trolley. Not only that, I realised that my DIY skills were up to the task and that gives me confidence to tackle the next DIY project.